Founded in Denmark in 1908, Carl Hansen & Son specializes in providing the outstanding furniture craftsmanship that brings visionary design to life. For over a century, our success has been rooted in an uncompromising commitment to the finest craftsmanship and on alliances with exceptional designers who continually reinvent and refine the concept of modern design. The complete Carl Hansen & Son furniture collection is available at our London showroom based in King’s Road Chelsea. 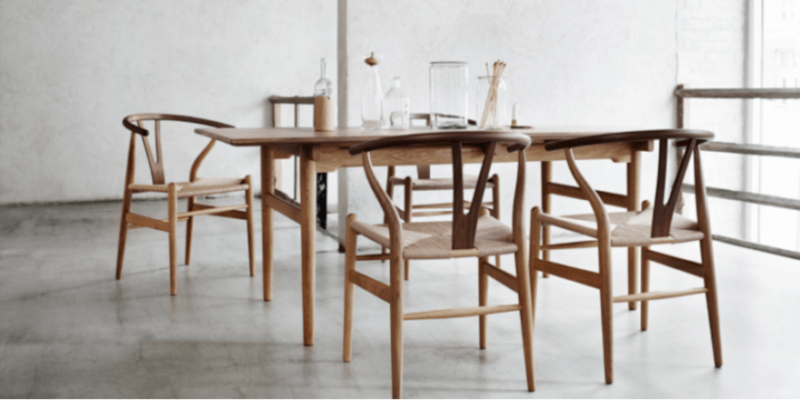 Explore our extensive collection of Carl Hansen & Son furniture including Chairs and Tables. The wishbone chair CH24 and shell armchair, and more pieces are on display in our showroom.